I made this for Austin's 16th birthday. 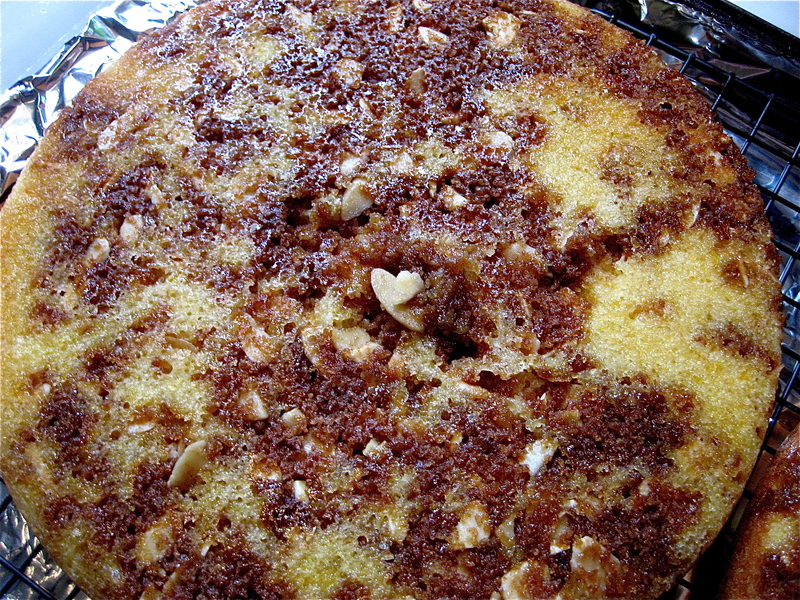 What you are seeing is the "crunch" in the Orange Crunch Cake, which is comprised of Trader Joe's Cats Cookies crumbs, sliced almonds, butter, and brown sugar. 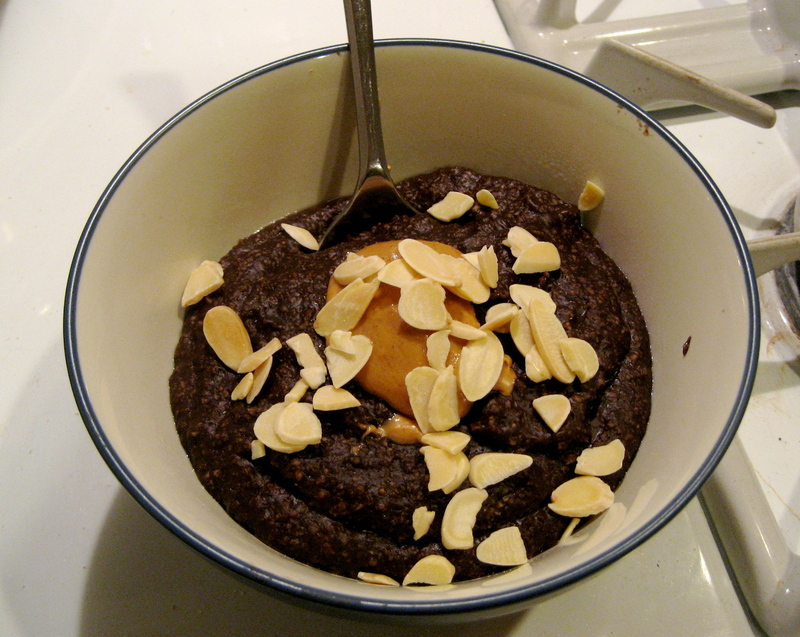 I made husband some brownie dough oat bran with peanut butter, bananas, and almonds since he's not eating sugar these days. Virtuous husband. 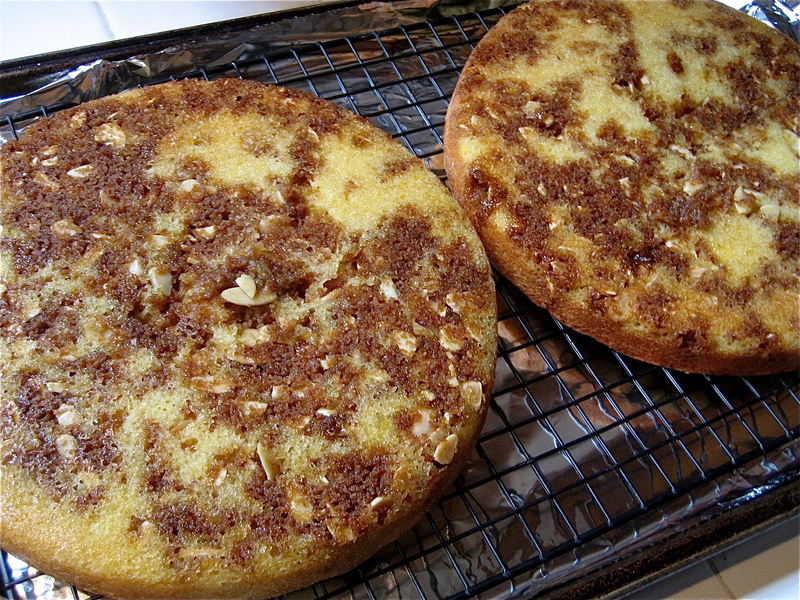 Thank you, Gingerbread Bagels, for inspiring me to try this delicious cake. 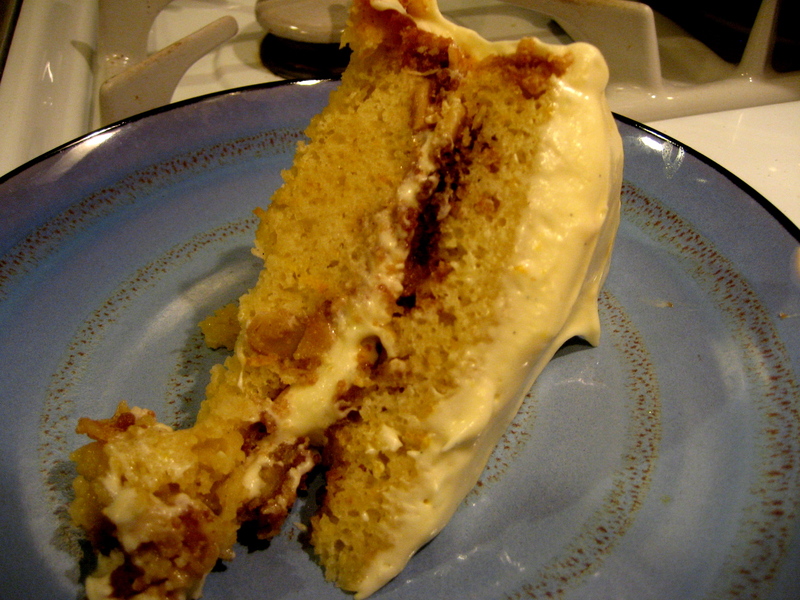 I loved the cake part, and I’ve decided I’m not a cream cheese frosting gal. 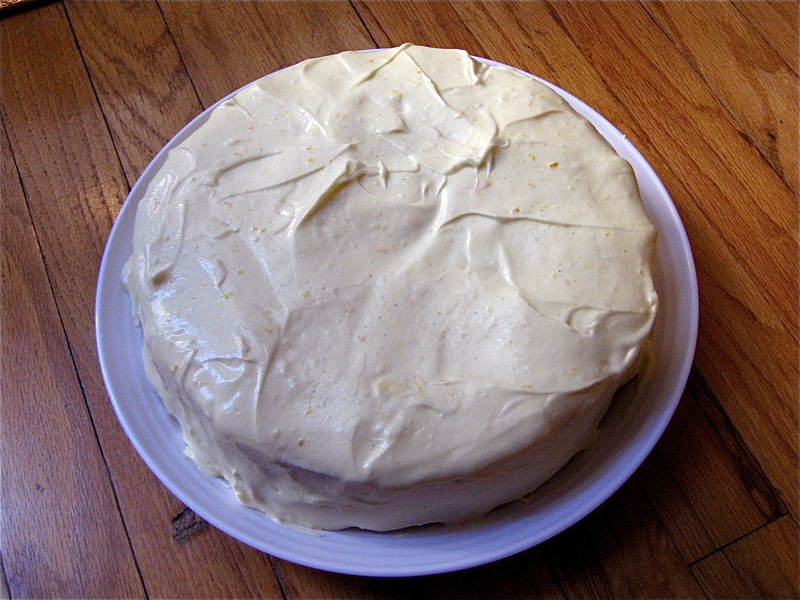 If I made this again, I would use this frosting instead, and just add some orange zest. In a way I’m relieved that I don’t love the frosting since I have 3/4 of a cake sitting in my fridge that is actually not calling my name. 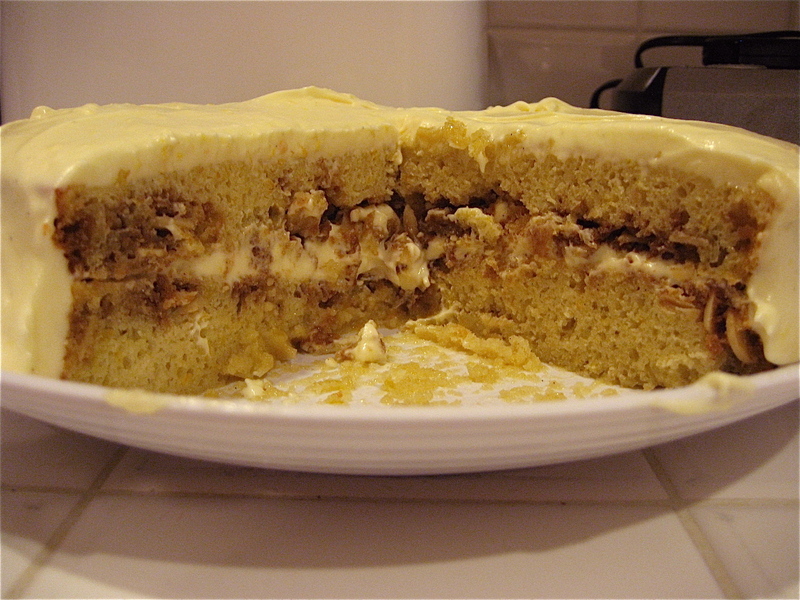 That is a first, although I could scrape off the frosting, crumble up the cake and top it with Cool Whip…kidding. Sort of.